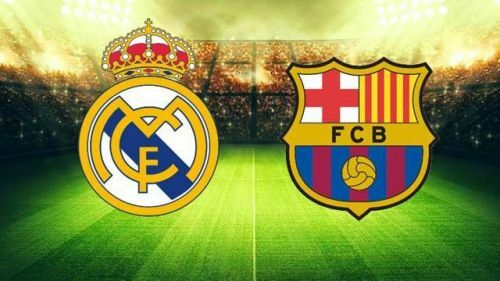 Real Madrid would take on arch-rivals Barcelona in an important La Liga match at the Santiago Bernabeu stadium on Saturday. Barcelona beat Real 3-0 in the second leg of the Copa Del Rey semifinal on Wednesday to continue their dominance over the Los Blancos in their own backyard. Barcelona have now won 10 of their last 17 matches against Real at the Bernabeu. However, if Real manage to get the better of the Blaugrana tomorrow, they could still have an outside chance of winning the LaLiga. Madrid now have 48 points from 24 matches, while Barca have 57 from 25. It is not going to be easy for Real to beat Barca, as the latter hold the psychological edge over them. Real have conceded 9 goals in 3 matches against their arch-rivals in the ongoing season, and will have to put up a much better display if they are to reverse the trend. Let's take a look at the 4 crucial tactical factors which might prove to be crucial in determining the fate of tomorrow’s match. Real’s experienced centre-back pairing of Sergio Ramos and Rafael Varane would have their task cut out against the deadly combination of Lionel Messi and Luis Suarez. 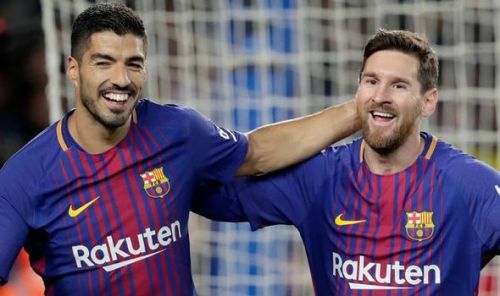 The attacking duo of Barcelona have scored 52 goals between themselves in the current season, and look good for many more. Therefore, it is not going to be easy for Real’s centre-backs to stop Messi and Suarez from scoring again tomorrow. Suarez has scored 5 goals in 3 matches against Real this season, and Bernabeu has become a happy hunting ground for him. On the other hand, Messi is almost certain to win the European Golden Shoe again this year, and can be unstoppable on his day. However, Real cannot afford to lose hope, so will have to try desperately to stop the Barca forwards. Messi has a tendency to take shots at the goal from the edge of the penalty box, and can not be allowed any shooting space in that area. Real’s defensive midfielder Casemiro has to drop down and block as many shots as possible if Real are to stop the attacking threat posed by Messi. Moreover, Ramos needs to play as the left-centre back and combine with left-back Marcelo in order to stop Messi’s runs through the inside-right channel. Ramos would have to tackle Messi quickly and should not allow him enough time on the ball in the final third. Varane, on the other hand, should always stay back, and have an eye on the darting runs of Suarez. Suarez has a tendency to beat the defensive line with his bursting runs, and score goals very rapidly. Varane would have to be prepared to go for a late challenge against the wily Uruguayan forward.